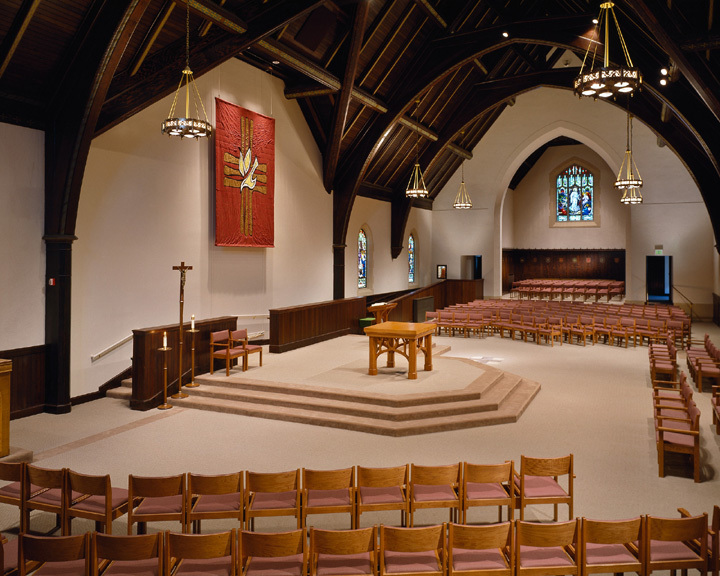 The existing sanctuary of this historic 1926 church building was renovated to expand seating and reorient the seating to provide more of a “community” atmosphere. The existing character of the space was maintained and replicated in the renovated areas. A new gable was added above the altar platform to accentuate this area. A sensitively designed addition provided much needed space for gathering and support functions. Construction documents were prepared in 1995 and construction was completed in December of 1996. In addition to a large gathering space, the new addition includes a nursery, restrooms, kitchenette and a small meeting room. 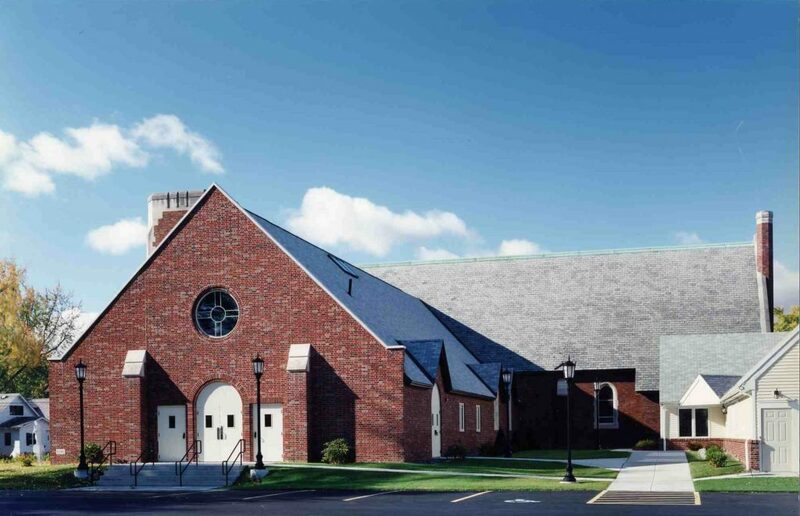 Worshipers enter through the gathering space in the new addition, which has been carefully designed to blend with the original 1929 church. 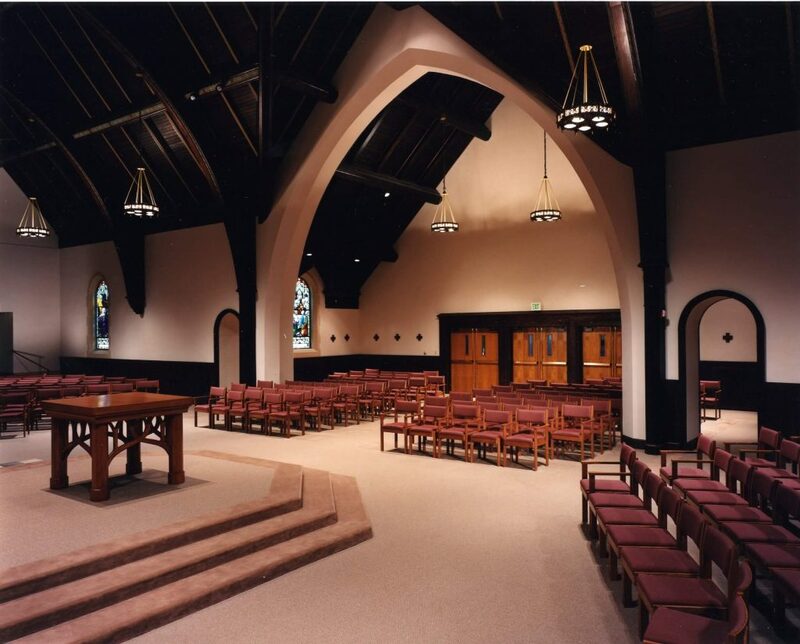 The flexibility of the reoriented worship space has allowed this space to be used for a wide variety of cultural events in addition to providing a more intimate space for worship.